​is to go on our own journey to become better men." As men we are not always equipped to process our pain and stresses which, as a result, can manifests as anger, depression, emotional disconnection or addiction. The overwhelming insight that came through this project was that if we really want to change our collective culture as men we need to be willing to transform ourselves first. So we identified three essential steps that all men need to take to become the change we wish to see. 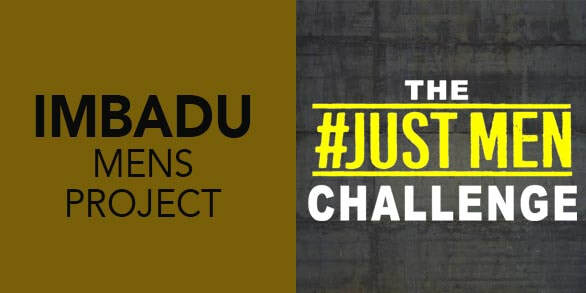 ​We have therefore created the #JUSTMEN CHALLENGE where we are calling on all men, young and old, to embark on their own personal journey of transformation for the next three months till the middle of November and then to come back and share what they experienced in the #JustMen FaceBook group. This is our opportunity to be the change that we wish to see in our families, our communities and in our country and to spread it to others. 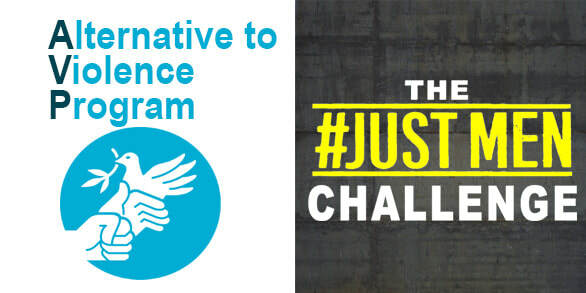 The purpose of the #JustMen challenge is to promote the value of creating safe spaces for men that fosters personal healing, encourages healthy masculinity and our raises gender awareness to deal with the root cause of why men participate in or passively enable gender based violence. STEP 2: Go on a journey and allow yourself time to process. STEP 3: Come back and share- On November 15th. ​Below are the Cape Town based events/programs that we have selected. The programs have varying focuses, intensities, duration and costs to suit everyone. It is an opportunity to get a breakthrough in your life and to truly become a better man. If you have any questions about the challenge or have any programs or events that you would like to include please inbox me on FaceBook or email me using the ref: #JustMen. VENUE: TBC (Western Cape, within 90 minutes of Cape Town). COST: Investment - R4,900 (includes training, accommodation and food) Limited bursaries available. Please use #JustMen MKP in your subject line as Ref. A life-changing 48 hour experience brought to you by the ManKind Project, an international nonprofit organization. It is the challenge of a lifetime for many men, NOT like anything you've done before. Many men say that this experience is second only to seeing and supporting the birth of their children. A maximum of 45 men will be accepted. VENUE: St Stephen’s Anglican Church, Pinelands. COST: R150. Minimum donation of R50. ​083 456 1986 for more info and/or bookings. Please use #JustMen IMBADU in your subject line as Ref. Imbadu is a half day workshop that provides a space of silence for men to “visit themselves” and get in touch with yourself as different issues related to your masculinity are raised. Vulnerability and compassion are fostered while connecting with yourself and others. It’s a process of learning to listen with the heart – to your own experience, to others’ experiences; and to the divine within all of us. Imbadu derives from the Xhosa tradition and refers to men gathering around the kraal, addressing issues that concern them. We see ourselves as men in this way, addressing issues around men and masculinity (or masculinities) – not in an exclusive or dominatory way, but with the aim of growing more and more into men who are compassionate, being able to relate, connect with other men, women, children, nature and God in a deep, meaningful, nonviolent and life-giving way. Please note that the program is open to those of any faith as well as those not subscribing to any faith. All programs have a limited intake so do not hesitate to book right now! VENUE: FAMSA, 9 Bowden Road, Observatory. Please use #JustMen MSVG in your subject line as Ref. ​This group session program is for men who recognise that they are abusive (physically, emotionally, financially or verbally) towards their intimate partners and families. This is arguably one of the most successful and affordable programs available in Cape Town for men who are willing to address their behaviour and heal themselves. These men have often themselves been the victims of abuse and violence in their developing years and this is an opportunity to transform that. The objective of the MSVG is to promote safety, both for the partners and families of the men and for the men themselves, through a process in which they are led to explore the causes of their behaviour and to deal with those causes consistently with their taking responsibility for their actions. Lesley Thomas is an extraordinary men's facilitator with a remarkable track record for transforming men's lives and he is one of the main advisors to the #JustMen project. As with any healing process, admitting we have a problem is the first essential step. Are you willing to do what is right for you and for those around you? Get the help you need, you have support. VENUE: St Luke’s Hospice, Kenilworth. ​COST: R1000 pp. Minimum donation of R500. Limited bursaries available. This is a phenomenal workshop for men and woman. Gender Equity & Reconciliation workshops create safe-enough spaces bringing men and women together to share their stories of gender wounding and injustice and to break through to healing experiences. Through skillful and creative collaboration, participants gain insights from this process that contribute directly to addressing and transforming gender relations. New relational skills and a culture of deep respect and integrity between the sexes are fostered, fueled by heightened mutual awareness of the gender conditioning experienced by both women and men in our society. All programs have a limited intake so do not hesitate to book right now! Please use #JustMen AVP in your subject line as ref. A.V.P. is one of the most successful and accessible worldwide program for transforming aggression, interrupting violence and resolving conflict. This program is run for men and woman in prisons and communities around the world. We have all at some point found ourselves in conflict situations whether its in our homes or out on the street where an aggressive response is the only reaction we are familiar with. 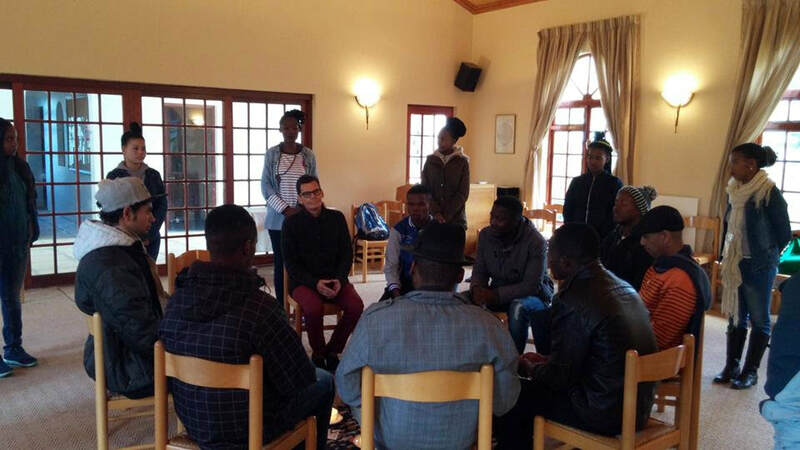 As South African men, in particular, we often find ourselves encountering or witnessing conflict situations where we would want to mediate and resolve matters in a peaceful way. The A.V.P. provides you with the skills to deal with and defuse conflict powerfully and engage a constructive resolution. 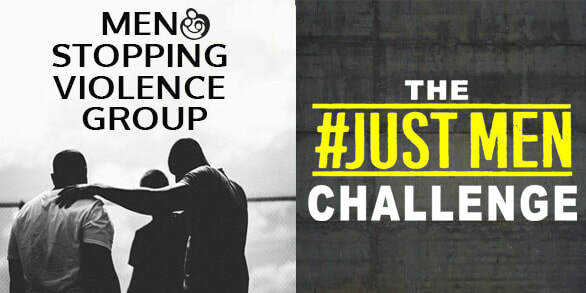 As part of the #JustMen challenge, these workshops in terms of locations are also designed give you an opportunity to interact with men from different cultures and backgrounds, get out of your comfort zone and experience a different environment. For participants who have completed the Basic and Advanced workshops there is an opportunity (TFT Training for Teachers) to train up as a facilitator and be part of making this work available to others. If you are a man wanting to make a difference in ending Gender Based Violence and resolving the cycle of aggression in any situation this is a profound opportunity to bring about that change. All programs have a limited intake so do not hesitate to book right now! So which program did you choose?